A WOMAN WHO complained about a Luas ad that gave the impression that journeys were free has had her complaint against Transdev upheld. In August of this year the woman dropped two under 18s to the Cherrywood Luas stop before they travelled on the tram into St Stephen’s Green. A display at the stop advertised free park and ride facilities for the Bank Holiday weekend. It read: ’Luas P+R Free Aug Hol’. The woman said that the children had never used the Luas before and interpreted the message to mean that the journey was free. The pair were subsequently fined by ticket inspectors for not having a valid ticket. The complainant said that as there was no park and ride facility at the Cherrywood stop she considered the offer text to be misleading. In its response, Transdev said that “P + R” was the “universal name” associated with park and ride facilities and that the ad was there to let people know that parking was free. The company said that this was “clearly stated” at park and ride sites and that this was also made clear on the Luas website. 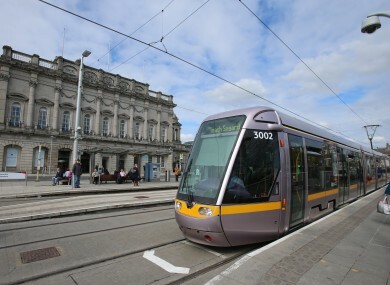 The ASAI, however, concluded that it was “feasible” for a commuter who was not familiar with the Luas to interpret the message as meaning that the journey was also free. The committee also noted that the message had appeared at Luas stops that did not have the park and ride facility on site. In the absence of any clarification the ad was deemed to be in breach of the code of practice. Email “Complaint upheld after children were fined for riding Luas for free”. Feedback on “Complaint upheld after children were fined for riding Luas for free”.